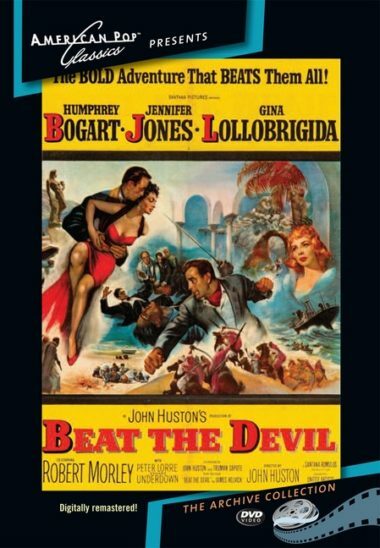 Beat The Devil – When a steamer needs to be repaired, six people are stranded en route to Africa where they are secretly trying to buy land with uranium deposits. And all-star cast: Humphrey Bogart; Jennifer Jones; Gina Lollobrigida; Robert Morely; Peter Lorre. 1954 – BW – 89 Minutes. DVD, Digitally remastered.